Took this with my phone--not bad, huh? 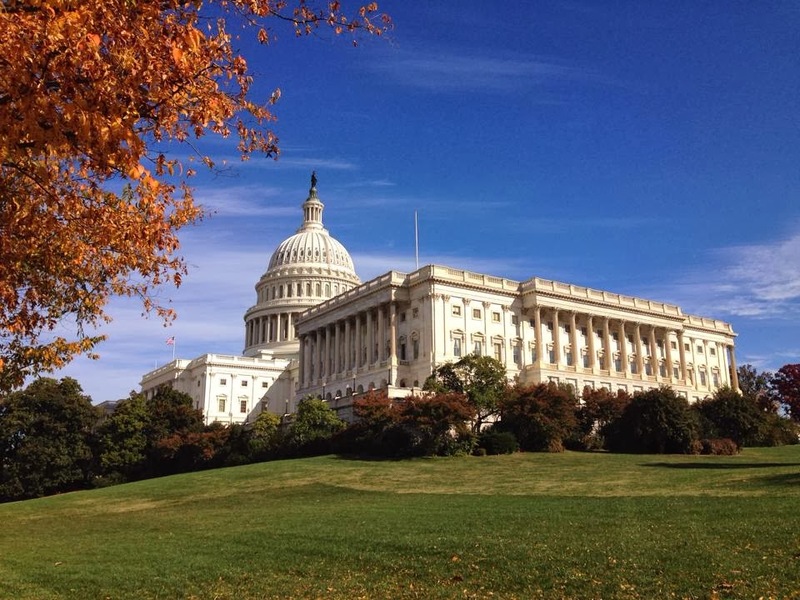 Last week I took a bus-full of students to Washington, D.C. It seems that each trip I take to our nation's capital is somber and weighty and sobering. This one proved no different. I've most often taken students to the Holocaust Memorial Museum (which I highly recommend). However, this time our purpose was more political/governmental in nature, and we turned our sights first to the Capitol. 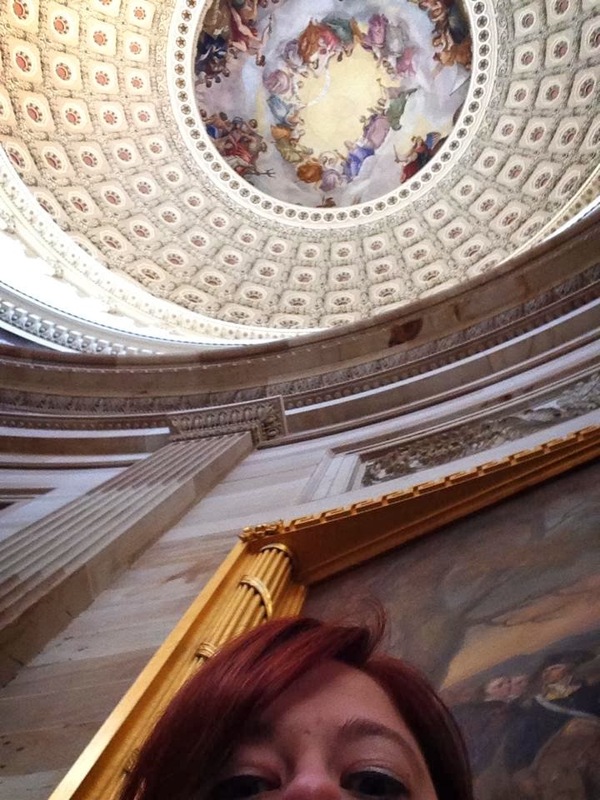 While I'm not a huge proponent of "selfies"
the gorgeous domed ceiling in one picture. I have not visited the Capitol in years. Yet, just as I remembered, the architecture is august, the artwork mesmerizing, and the history at its heart evokes a deep pride in our country's heritage. (Remember back when E Pluribus Unum held such profound meaning?) While waiting in line for the guided tour, I met a delightful couple from York, England with whom I eventually exchanged contact information. She was a writer (which of course prompted an immediate affinity) and he regaled myself and several students with stories of his previous visits to the United States during which he hitchhiked all over the country. It conjured images from Steinbeck's Travels with Charlie (also a fantastic read). 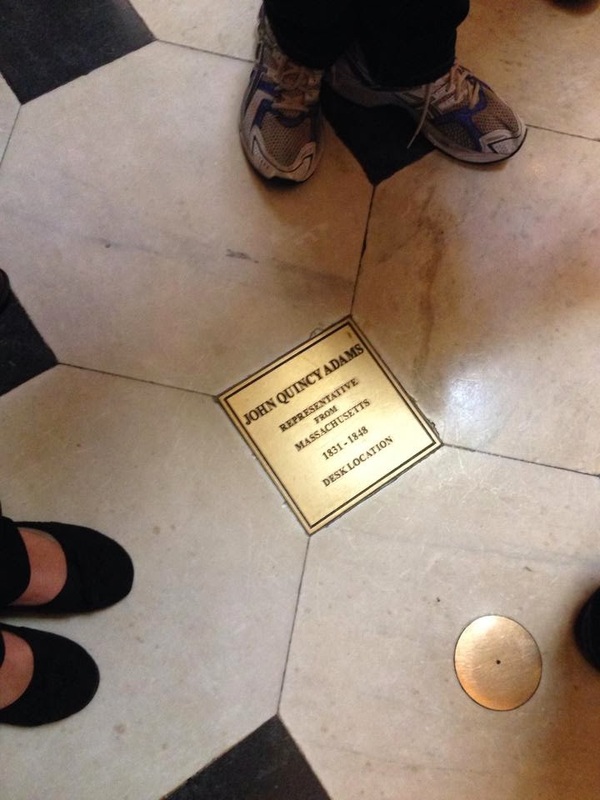 This plaque is where J.Q. Adams' desk sat. While the Capitol was intriguing and inspiring, what left a more lasting impact was where we went next: Ford's Theatre. The site of Abraham Lincoln's assassination has been restored and maintained as authentically to Lincoln's day as possible. 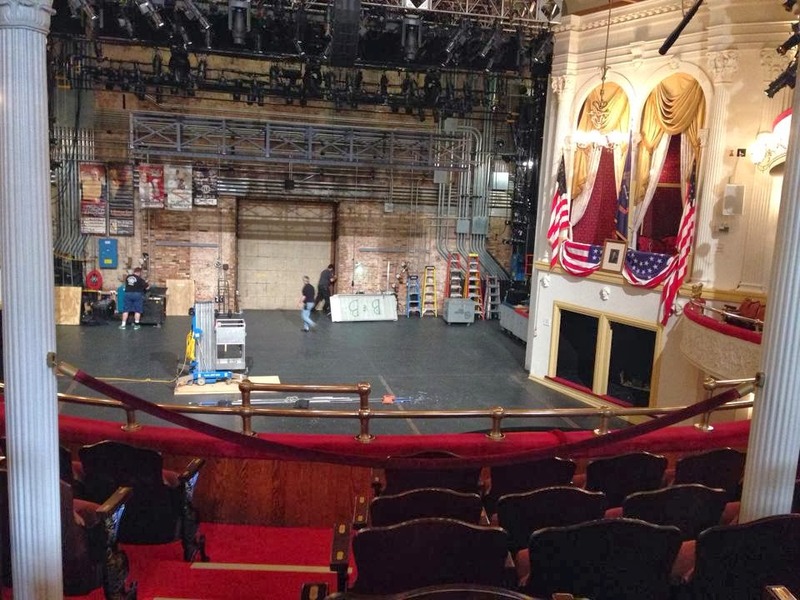 The box where the President sat, known as the State Box, is as near to replicating exactly how it looked when Lincoln sat and watched the comedy that fateful night of April 15, 1865. 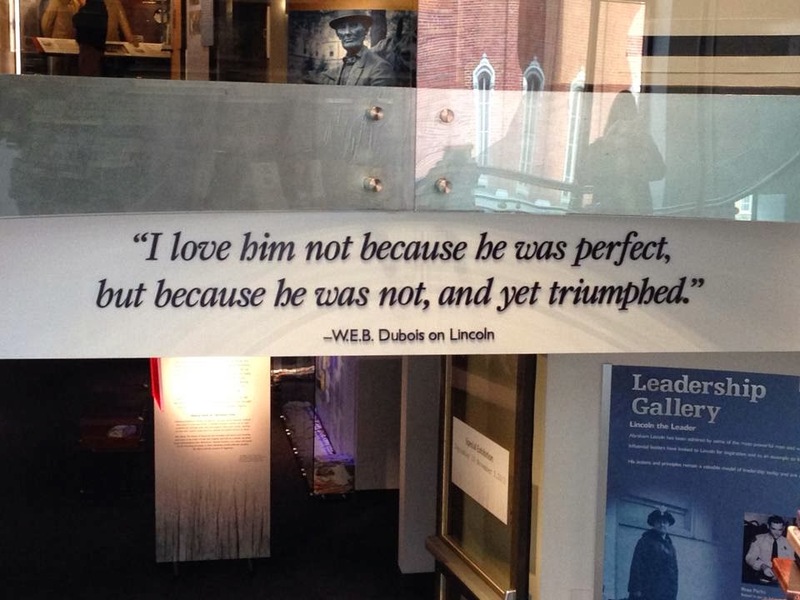 There is a museum in the basement of the theatre that sheds light on the Nation's events that surrounded the assassination, as well as offering background on those involved in the plot, in particular John Wilkes Booth. Seeing the men (and woman), their faces only inches from mine, makes the story a whole lot more "real." It took me beyond what I learned in school and prompted me to see the human story behind it all, making this historic event that much more captivating and tragic. here about 10 years ago and loved it--would love to see it again. horseshoe of seats and the dark wood of the stage I could scarcely imagine what that night might have been like. A brimming, broiling theatre of 1700 people--women in hoop skirts, men with snuff and cigars--all wedged onto benches and eager for entertainment. Even after Booth shot Lincoln and jumped from the box onto the stage, people thought it was all part of the show. Yet the tumult and frenzy that erupted once the assassination was discovered must have been horrifying. And it was a moving, almost surreal, experience to sit calmly in the balcony seats and imagine how it might have been, to imagine the terror of the citizen theatre-goer to find the leader of the country--the leader who carried them through a civil war--has been murdered. So it seems fitting, on this Veteran's Day, to consider where our roots lie. To consider the cost of freedom and the sacrifices that have been made by so many to staunchly defend that freedom. And to say thank you. Thank you to our veterans who have served and fought and sacrificed willingly for this country. Thank you to those who still serve and fight and sacrifice. It is because of your courage that this nation stands. What a beautiful description. I have never been to the Capitol, but I hope to go someday. It really is powerful to think about the human stories in our history isn't it?